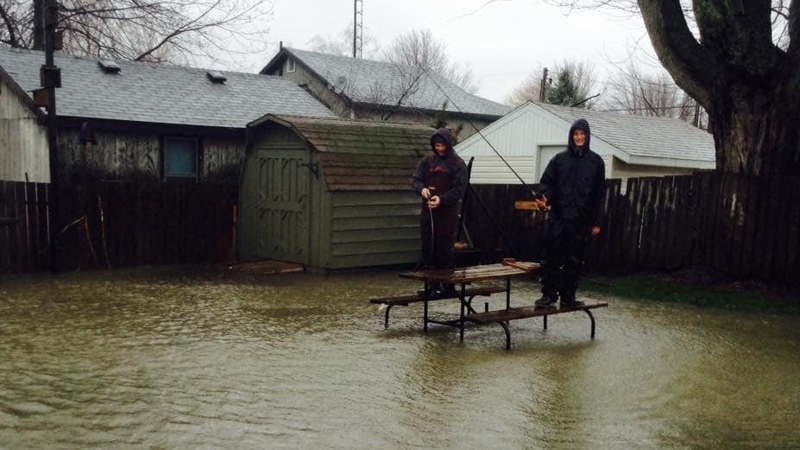 OPP are warning there is generalized flooding on roads and at some homes along the Lake Erie shoreline. Emergency personnel in Essex County say some roads between Kingsville and the Belcreft Beach area in Harrow are reported to be under water, as are parts of Erieau in Chatham-Kent. Heavy rains, washed out roads and flooding, particularly in the south end of the county, is making travelling hazardous in several areas. Police are urging residents to stay off the road unless absolutely necessary. They say the Kingsville Harbour break wall has apparently been breached by increasing water levels. The Essex Region Conservation Authority has advised that lake levels will not recede soon and high winds are expected to remain until later Sunday evening. OPP are advising residents of the Cedar Island area to carefully monitor the weather and water levels. They ask resident to consider moving to higher ground until the weather improves. There is a voluntary evacuation in place there.